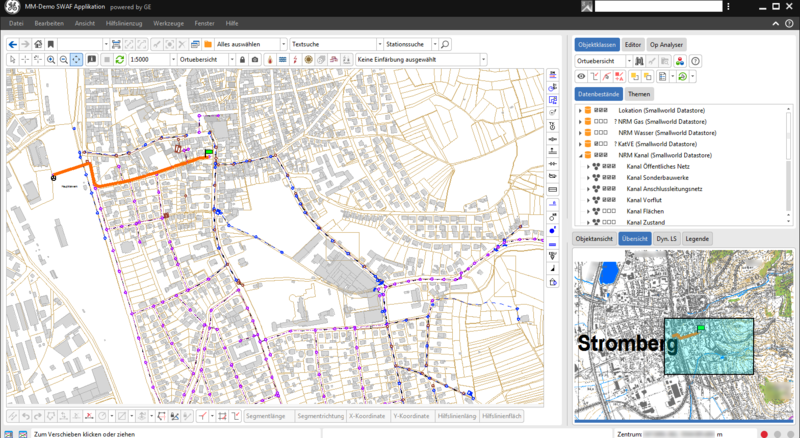 The Wastewater Network Resource Manager is not only a stable basis for high-quality documentation of complex sewer networks. 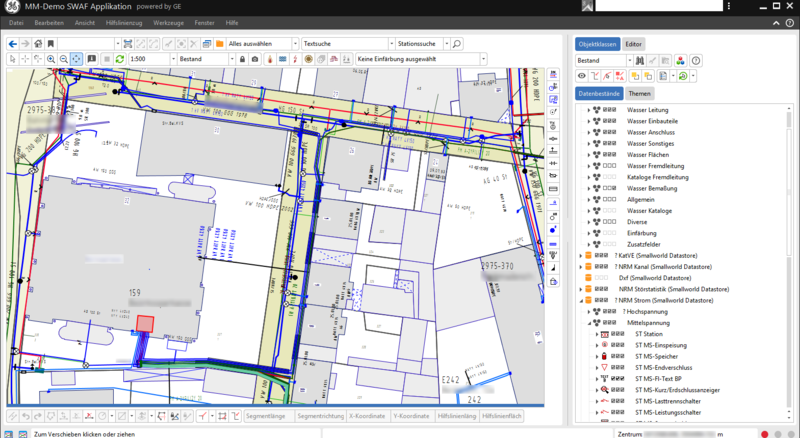 It also provides an overall solution to all issues concerned in sewage-related fields with its integrated data capture, updating, design and analysis toolkit. 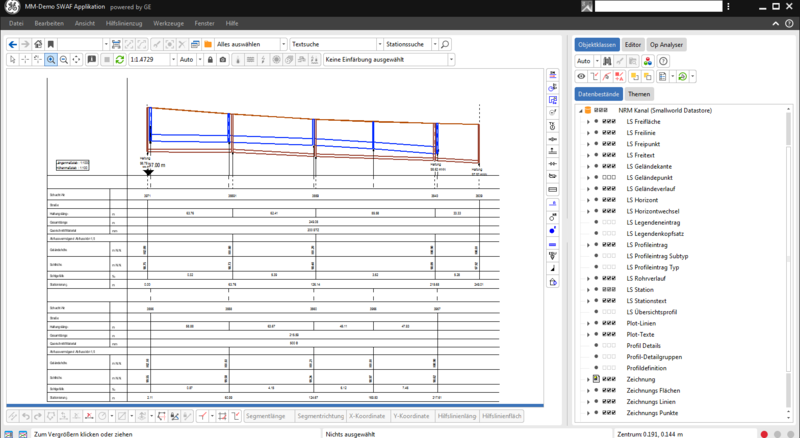 The additional product Operation Analyser Wastewater enables a structured assessment of the grids and the development of planning under technical and economic aspects. Interfaces for data exchange with external programs that are available as additional products round off the range of services. 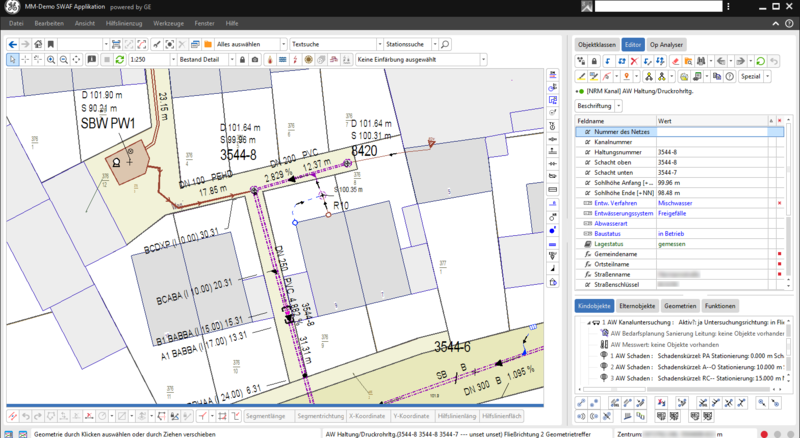 This Network Resource Manager reflects the course of wastewater from consumer locations through to the sewage treatment plant. Sections of the network still in the planning phase may also be topologically integrated into the existing network. A distinction is made between rainwater, wastewater and combined sewage. The special drainage methods pressure drainage and vacuum drainage are supported by the additional module Pressure Drainage Systems. NRM Wastewater efficiently supports you in integral wastewater management according to DIN EN 752:2008-4.